Founded in 2009 as a 501(c)3 Non-Profit organization to promote art and artists within the Grapevine area. and surrounding areas, who love to create, enjoy, and learn about art. The Grapevine Art Project is open to artists who work in any media. All terms are two years in length, with officers elected by the members of GAP. Have you ever dreamed of painting under the Tuscan Sun? Your dreams will come true on this artist's retreat! We will stay at Casa Berti, a 17th century Italian Villa that's been exquisitely renovated with today's modern conveniences. Casa Berti is located in the beautiful Tuscan countryside above Lucca, Italy. Click here for details. 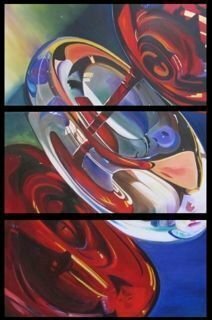 For the month of March, my paintings are hanging in the Lancaster Theater Gallery in downtown Grapevine. On Friday March 15, I am having the pre- and post- party at our house (110 Ivy Glen Dr., Grapevine), and a visit the gallery for a look at the paintings. Pre-party starts at 6, Gallery visit from 7-8, post-party starts at 8. Bring your friends and loved ones. Three of GAP’s Artists will be exhibiting at the 11th Annual Funky Finds Spring Fling being held at the Will Rogers Memorial Center in the #1 Cattle & Exhibit Building, 3401 Burnett-Tandy Drive in Fort Worth. Sue Jackson will be there with her Functional Pottery; Ed and Sam Peet will be there with their Painted Coins and Keith and Gwen Albee will be showing their newest creations in Steam Punk Metal Work and Jewelry. The dates are March 9 and 10. I have some exciting news to share - I'll be guest artist at the Kimball Art Museum's Spring Break Art Extravaganza activities this year. (March 12-15th) I'll be leading kiddos through a hands-on linocut printmaking activity where they will carve and print their block! Click here to LEARN MORE. It's Pink not Purple is currently showing their work at the "Healthy Hippie Cafe" in Watauga until April 8th. (6600 Denton Hwy Ste. 210, Watauga) April 12th-14th they will be participating in ARTS IN BLOOM in McKinney (111 N. Tennessee St., McKinney. On behalf of the GAP Officers and the GAP members, we want to thank the Keller Public Arts Board and the hardworking staff at Keller Town Hall for choosing us to be the first Exhibit in their show season for 2019. The Public Arts Board members and staff at Keller Town Hall who hung all the artists’ works did an impressive job and we are grateful to them all. We know it is not an easy job to hang the works of 23 artists and make it look as outstanding as it did. Click here "Learn More" to see more photos of the evening. GAP member Artists will be participating an a Juried Art Exhibit at the Keller Town Hall from January 7 through February 20. Both 2D and 3D artists will be represented. There will be an Artists Reception on January 10, with the time to be posted later. Here you will be able to feast your eyes on some of our finest artists works. Click here to LEARN MORE. Keller’s Elm Street Studio hosts the art show "Life in Frame" from January 9th through March 1st, featuring the works of local, award-winning photographer (and Grapevine Art Project member) KC Hulsman. This workshop by Chris Brandley will teach you how to paint those furry faces you love. Ages teen to adult 9:30am -4:00 pm (1 hour lunch break) June 7th - 8th, 2019 (2 day workshop) $295 – supplies required, see LIST Paint your pet or favorite animal face *Limited to 8 students. Workshops fill quickly, don't delay! Join award winning artist, Chris Brandley for this 2 day oil painting workshop in the state of the art, NRH Center. Chris’s workshops include step by step demonstrations, one on one easel time, and fun exercises to learn how to loosen up and create bold, colorful paintings. Join award winning artist, Chris Brandley, for 3 exciting days of painting in sunny Florida! Learn how to take an ordinary photograph, and use artistic license to paint from the heart by infusing clean, vivid color, loose brush strokes, and beautiful lighting. It is never too late to recognize an Award Winning, emerging artist. Weston Capps is the 6 year old grandson of Preston Mitchell and just won 1st Place for his Flower Painting. People's Choice Award Painting- Mark Sadiwala "Return to Freedom"
Congratulations 🎉 go out to our member Tammy Klepac Photography, whose photographs 📷 have been selected as first and second place winners, in several categories, of the "Keep NRH Beautiful Photo Contest." Congratulations to Tina Alvarez for her 2nd Place Award in the 2018 Irving Art Association Photography Awards Competition and Exhibit. The Exhibit runs from October 28- November 21, their reception is Sunday November 11 from 2:00-4:00 pm. Tina Alvarez, GAP member, won 1st place in the Photography category at the "Crème de la Crème" show sponsored by Visual Art Guild of Frisco. Her winning photograph was titled "Gentle Giant". Naomi Won the 2nd Place Award in Jewelry for her Amethyst and Freshwater Pearl Bracelet, "The Circle". She also won the City of Keller Employees Award for her 40 Carat Amethyst Ring, "TheRock". Congratulations to our new GAP member Stefan Huyghe who exhibited in Keller's Got Talent and won the 1st Place in Oil Painting for his painting Diesel 72x48. The painting will be on display until November 21 at the Keller Town Hall. Klaus won the 1st Place Award in Photography for his "Winter Sunrise at Mesa Arch" at Keller's Got Talent and also the Keller Public Arts Board Award for his "Sunrise at Mesa Arch". Here are the results of the largest photo contest in Texas, the Texas State Fair in Dallas. My photographs "Texas Sunset" and "Come and Play with Me" were selected by the jury for 1st place. They will be awarded with a blue ribbon. You can see them during the Texas State Fair at Fair Park in Dallas from Sep. 28th until Oct. 21st. 2018 inside the Creative Arts Building. I was awarded Second Place for my photographic work "This Side of the Pond" by a three-member judging panel in the Challenge Category "Frogs & Toads" across all art mediums (painting, drawing, digital art, photography, mixed media) for the 2018 IAA Animal Art Competition & Exhibition. 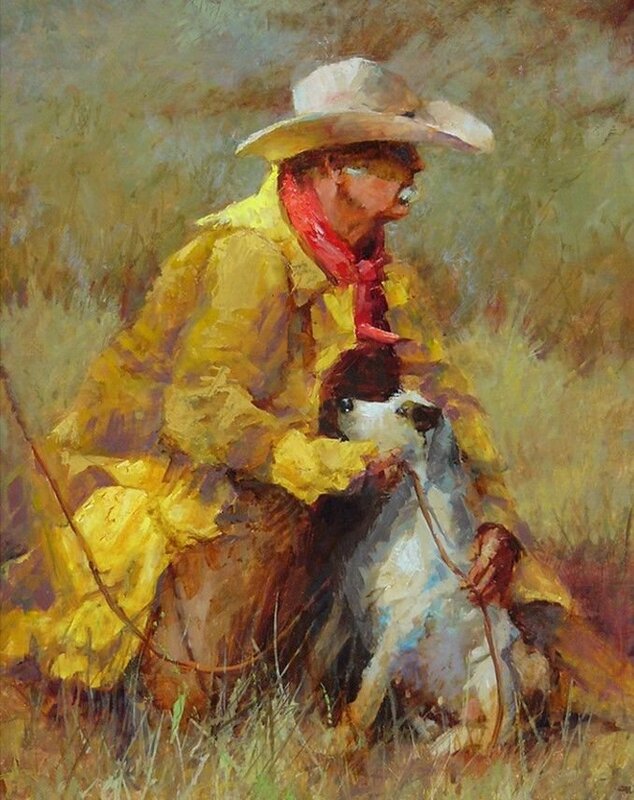 KC has been selected to exhibit two of her works at the Western Trapping on the Llano, a juried international exhibit. The exhibit is free, open to the public and runs from October 20 thru November 3, 2018 at the Llano County Historical Museum. An award winning artist, Gwen has incorporated a life time of art into her jewelry. She works in Copper, leather and a touch of brass making her jewelry one of a kind, from simple wire wrap stones to more involved hand drawings etched into the metal. Keith learned to braze and weld after he retired in 2013 and that is where his journey into Metal Art began. He uses mediums of Copper, Horseshoes, Horseshoe Nails, Sheet Metal and Black Iron Pipe. In 2004, with retirement on the horizon, I knew I needed a hobby. Drawn to the decorative art and wood a scroll saw seemed the logical fit. 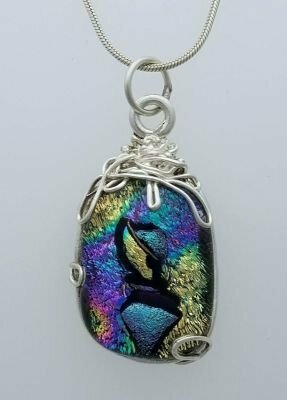 A local Award Winning Jewelry Artist, Naomi works with Sterling Silver & 14 Karat Gold-Filled Wire and Gemstones to create unique one of a kind pieces of wearable art. Juliana creates custom hand-crafted sterling silver jewelry using modern and minimalist designs that result in aesthetically attractive and fashionable pieces. Deb Hart grew up on a farm in Minnesota, but it’s her time in the Southwest and her love of Native American culture that inspires her art. Sue Jackson, a local potter, creates functional art incorporating nature in to her pieces with leaves, dragonflies, frogs and other additions. As an artist, Cheryl has journeyed and grown through creations in multiple media over 30+ years – paintings, pottery, stained glass, and now wearable fused glass jewelry. Artist and former art teacher, Paul Keithley, graduated from East Central University of Oklahoma with a bachelor of arts degree. Vera Lawson was born and raised in Brasil where she learned basic Mosaic Art. Over the last 14 years she has taken many classes and has honed her skill at designing her mosaics. Offering fine silver jewelry for adoption. The prism of vibrant colors we see in our surroundings represent seasons of life and transition, embracing the arranged order of chaos, and celebrating each unique piece that reflects a vision. Kashmira Mistry, a local potter and ceramic artist, makes functional and sculptural pieces for the home and garden. A local potter, Katie has been creating art out of clay for almost 20 years. She uses both thrown and slab methods. Her pottery is perfect for unique gifts, home decoration, or food. Color, texture, and pattern inspire Sandi’s hand woven textiles. Using fine cotton, bamboo, Tencel, and silk yarns, Sandi designs and weaves beautiful scarves suitable for all seasons and all occasions. Tina received her first camera from her Dad at age 10....and has been fascinated with imagery ever since and became a passionate photographer. Bold, vibrant, colorful, these are the paintings of Angela Banks. She works with both acrylic and oil on canvas drawing inspiration from simple moments in life and nature. The work is intuitive and organic. Chris Brandley, an award winning artist, graduated with a Bachelor of Fine Arts degree from Baylor University and is a professionally certified art educator. Shelly preserves memories by creating watercolor people and pet portraits. Her realistic commissioned and original work can be found on her website or Facebook Page. From traditional to contemporary, the versatility of Charice’s art allows her great freedom of expression. Diane says art snuck up on her in her 39th year of life, at a chaotic time and that it healed her and brought order into chaos. I am a native Texan that enjoys painting landscape and seascapes in oil. Over the years, I have learned from various professional artist throughout Texas. Kandace is a graphic designer and self-taught block printer. Her interest in block printing stems from fascination with the centuries old printing technique and hand-carved blocks. Ann has been painting for her livelihood since the mid nineties. Her studio is in her tree house located on acreage in Colleyville, Texas. Cheryl is an acrylic painter who also enjoys creating in watercolor, ink and mixed media. 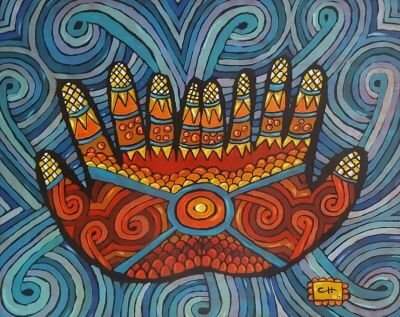 She draws inspiration from both folk art and pop art. She is professional artist and art teacher at Lifesong Studio in Grapevine, TX. She is a versatile artist utilizing many different mediums. K.C. is a Hurst resident that graduated from Grapevine High School, and became an alumna of the University of Texas at Arlington where she received a Master of Arts in the Humanities. Originally from Belgium, Stefan moved to the United States in 1993. He has been living in Keller TX since 2010. His photo-realistic oil paintings have won awards around the metroplex. Our art style is a collaboration of 3 artists painting mostly in triptychs and each canvas represents the artists’ individual and unique style. Melissa James has been expressing her vision of the world since early childhood. Growing up on a sugar cane farm in southern Louisiana, she could always be found exploring nature with her loyal pets. Tammy Klepac is a self-taught photographer who grew up in the Texas Panhandle. I have been producing art for as long as I can remember, and after learning all the building blocks of art and getting a few bachelor’s degrees, I can let my imagination go wild. Mary Kay Krell grew up in Ann Arbor, Michigan, a university town. She was raised in a musical family and became interested in the arts at an early age. I have been told from an early age I had talent and was encouraged to get better. After the third grade I pursued to get better in drawing and so I did with the help of an art teacher. Klaus Mayer is a self-taught award winning photographer who has been a member of the Professional Photographers of America since 2016. Rich is a self taught landscape, seascape, and abstract painter. He uses watercolors and acrylics as his medium, sometimes mixing the two. Professional artist, Beverly Richmond, creates timeless, Old Master style oil paintings that capture the beauty and wonder of a person, a landscape, fruits, flowers, or ordinary, everyday objects. Dallas artist, Anita Kim Robbins owns Studio Art House. She is known for her highly textural renditions of nature that combine sculpture and painting. Bruce Rosenstiel was drawn to photography by his fascination with wildlife and world cultures. He enjoys photographing all manner of flora and fauna. Amy is a writer and commercial/fine art photographer. Her fine art photography focuses on wayside places and found objects shot in the moment. My favorite class was color theory in college. It influenced the rest of my life. I love color, bright color, muted color, color influencing color. An artist and photographer, Anastasia works in a variety of mediums to show her love of wildlife and nature. She also dives deep into the imagination to bring out the whimsical and the fantastic. Keisha has been an artist all of her life. She studied design at Abilene Christian University as well as The Glassell School, Museum of Fine Arts, Houston. My life is one that is divided between being an academic at the University of Texas, Arlington, and pursuing life as an artist. Santa Barbara Tilka is a Self Taught Artist, acquiring her education primarily through Art books, other Artists she has greatly admired, and many years of determination and practice. Marion Vidal started her art career by studying Classical Realism in an Apprenticeship Program run by Ben Long IV in Asheville NC. Pat paints with palette knife or brush to create both still life and landscape. She uniquely captures natural light that creates a relationship between artist and viewer. She is an accomplished painter and teacher. THE APRIL MONTHLY MEETING WILL BE HELD AT THE OFFICES OF THE PARKS AND RECREATION DEPARTMENT, LOCATED AT 501 SHADY BROOK DRIVE, GRAPEVINE. We will still have our Art Chat at 5:30, if you want to participate, go to our members' website and read the rules and then print out the forms to fill out and bring them to the meeting along with the art you want to submit. Our program will be given by Eric Horn who will be speaking about the elements of design as they relate to the visual arts as well as the contemporary art critique. Specifically he will be talking about the historical and physiological nature of the design elements and how they are interpreted by a viewer. From the Founders Building (where we had our March meeting, 705 S. Main St.) follow Main Street North to Dove Loop Road; take a left on Dove Loop Road and then turn left on Shady Brook Drive. The total distance is 1.3 miles from the Founders Building (which is at the train depot). OR you can use a GPS. The meeting room is inside the large building on the left just after you turn onto Shady Brook. We will have someone at the front door to guide you to the meeting room. The meeting is open to the public and we look forward to seeing you there. We will be having our March 14th meeting at the Founders Building, 705 S. Main Street in Grapevine, 76051. We will still have our Art Chat at 5:30 so if you want to participate, go to the ART CHAT tab on our members website, read the ground rules, then print out the forms to fill out to bring to that meeting. Our Social time will be at 6:30 and then at 7:00 our meeting will begin. The meeting is open and the Public is invited. Hope to see you all there. All meetings will be held in the REC in Grapevine, 1175 Municipal Way UNLESS noted in red. There are a few months when we are not having meetings. We have an Art Chat session at 5:30 for our members who want to bring a piece or two of their works for discussion. At 6:30, our members gather for refreshments and social time and the meetings start at 7:00 pm. Our meetings are open to the public and you are welcome to attend. January 10 - Gap is having a reception at the Keller Town Hall from 7:00 - 9:00 pm where 23 of our fine artists are exhibiting. The Exhibit runs from January 7 through February 20, 2019. Please join us. February 14 - Our program will be given by one of GAP's members, Amy Tigner. The title of the presentation is "Painting with Alcohol Ink" and she will primarily be doing a demonstration painting a landscape and talking about the techniques of using alcohol ink as a paint medium. March 14 - Our program will be given by one of GAP's members, Ed Peet and he will be discussing and demonstrating the fine art of painting coins and medallions. Eric will be speaking about the elements of design as they relate to the visual arts as well as the contemporary art critique. Specifically he will be talking about the historical and physiological nature of the design elements and how they are interpreted by a viewer. 10-12th Grade Art Instructor, Advanced Placement Studio Advisor and Instructor, High School Art Department Head, Lecturer. May 9 - Our program will be on Self Critique and will be presented by Marie Maine. June 13- Our program will be given by GAP member Cheryl Johnson. She will be doing a demonstration on some of her favorite techniques and share some of her less favorite faux pas. She will also be doing a brief PPT presentation, "How to make silver clay and dichroic glass play together". August - Break Out Sessions- More information to come. September - No Meeting Some of our members will be participating in Grapefest, Sept. 12-15. October - Our program will be presented by one of GAP's members Beverly Richmond and she will be demonstrating working with oils. GAP member 2D Artists will be exhibiting during the month of December in the Atria Senior Living Facility. 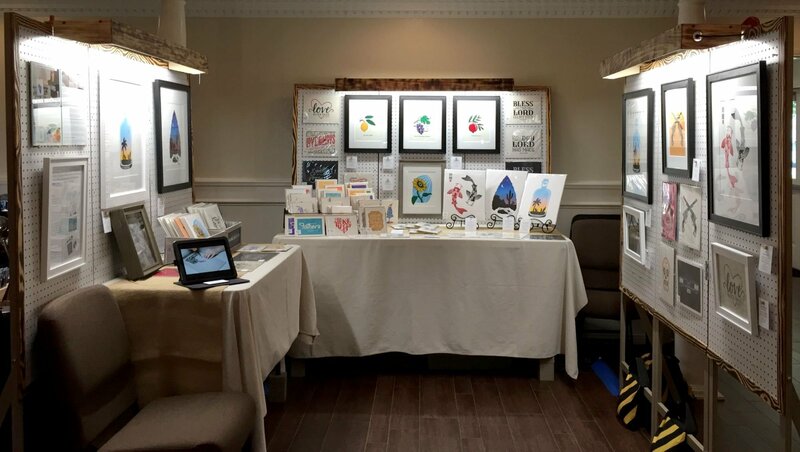 GAP was invited due to a very successful exhibit in the spring at Atria in Grapevine. All of the artists are local and it will be a treat for the eyes of all who visit during the month of December. The items on display will be for sale and Artist contact information will be provided. The Apex Art Council is sponsoring an Art Exhibit showcasing Artists from the Grapevine Art Project. The show will run from September 22 through November 22, 2018. The Art may be viewed during Town Center business hours. 21 Local Artists, all members of the Grapevine Art Project will be exhibiting and selling their art at Grapefest in Downtown Grapevine in the Foust Event Center on Main Street . The hours of the show are 10:00 AM to 9:00 PM, Thursday thru Saturday. Sunday hours are 10:00 AM to 6:00 PM. Local Artist Members of GAP (Grapevine Art Project) Exhibited in the Foust Event Center as part of Grapevine's Main Street Fest. The event was well attended. Hosted by the Grapevine Convention and Visitors Bureau, this juried art show is open to the public at no charge during normal business hours. This coincides with the annual Blessing of the Vines on April 11 and the popular Thomas the Train rides at the Grapevine Depot on the weekends of April 11/12 and April 18/19. An open art show for the residents of the Atria Senior Living Facility, displayed in the main lobby area. Items are for sale from the individual GAP artists participating. For any questions or comments please contact us by email.